Gareth Bale is not expected to be fit to play for Wales in their Nations League clash with Republic of Ireland, according to manager Ryan Giggs. Bale missed Thursday's 4-1 home friendly loss to Spain with muscle fatigue, while he has also been carrying a groin injury. 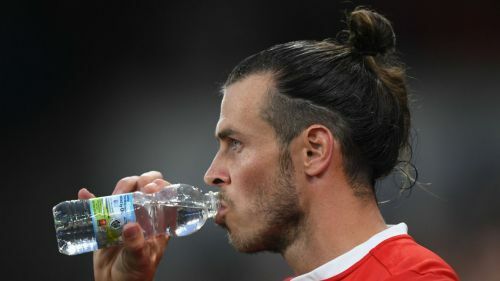 The forward's club Real Madrid are reportedly unhappy with Bale's decision to link up with Wales in his current condition. And Giggs does not think Bale – Wales' record goalscorer with 30 international strikes – is going to be available for Tuesday's Nations League B Group 4 meeting with Ireland in Dublin. "It's unlikely at this point," Giggs told Sky Sports. "It's nothing serious but the closer we get to the game, we will have to make a decision." Poor defending cost Wales against Spain as Paco Alcacer profited with a first-half brace on his international recall, while defenders Sergio Ramos and Marc Bartra scored headers. Although Burnley striker Sam Vokes scored a late consolation in his 60th appearance for the hosts, Giggs was left frustrated with the errors made by his team in Cardiff. "The disappointment for me was in the basics. You have to do that even against the average teams," Giggs said. "If you don't do the basics against a very good team you're in trouble. You have to do the right things or you will get punished. There were so many mistakes. "Spain move the ball quickly and have penetration. We knew we were up against a good team. "We showed some threat going forward in the end and that's what we wanted to do. That's about all we can take out of this game - the goal." Did selling of Cristiano Ronaldo instead of Gareth Bale led to Zidane's departure?